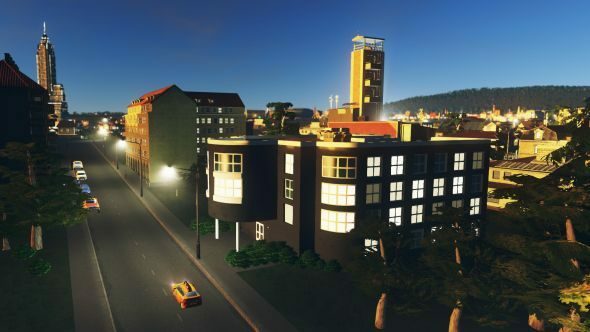 Along with planning to blow up your city with big falling rocks in the Natural Disasters DLC, Cities: Skylines’ upcoming content includes some lovely buildings. Twist is it’s all community created, and revenues will be directed back to the modder that provided them. Read more: the greatest strategy games there are. This first pack, with more planned in a similar theme, is all from community creator Matt “Shroomblaze” Crux. You can see his previous work over on the Steam Workshop where he has a massive collection of new assets available for free. The DLC pack will contain totally new, deco-inspired creations. As mentioned, he’ll be paid in revenue share from the sale of the pack, as well as having already received a sum from Paradox to cover the development time. If you’re interested, the Art Deco pack will be available next week. It’s up on Steam now with lots of lovely screenshots of Crux’s work.